» Peru Travel Guide: Weather, Food, Safety Etc. Peru is fascinating country and one of the most popular destinations in South America. However, before rushing into a trip to a country you know nothing about, you might want to get some basic information. In this part of our Peru travel guide, we will provide you with some great tips and give you some useful information about Peru. Where is Peru? Located on the west side of South America, Peru (Perú) shares borders with Ecuador and Colombia (north), Brazil (east), Bolivia (southeast) and Chile (south). Peru is also bordered by the Pacific Ocean on its west side. Check out this map of Peru for further information about Peru’s location. National language: As you may know, Peru’s official language is Spanish, which is also the main spoken language in the country. However, a lot of people speak Quechua or other native languages such as Aymara, Campa or Aguaruno, on a daily basis. English is spoken in tourist areas, such as Cusco or Machu Picchu, and in upscale hotels, but you will need to know some Spanish if you are going to other parts of the country, especially if you stay in remote locations. Weather in Peru: The best period to visit Peru is from June to September, Peru’s dry season (winter). During that period, nights are cold but days are sunny. Try to avoid going during the wet season (summer) which begins in December, if you do not like rainfalls. Overall, the weather in Peru is mild, but you should be aware that the climate varies according to the different geographical regions. Mountainous areas are usually colder, tropical areas are hot and humid and coastal regions are hot and dry. Cost of living: Peru is an inexpensive destination, especially if you come from a developed country like the US or Canada. In a restaurant, the cost of a meal varies from US $0.50 to US $20. Transportation is inexpensive too: a 10-hour bus ride should not cost you more than US $12. The national currency in Peru is the Nuevo sol (PEN): PEN 1 = CAD $2.85 / US $2.75. Food in Peru is absolutely delicious. Traditional dishes include ceviche (spicy seafood marinated in lime), Juanes (pottage with rice, chicken, olives, eggs and spices, wrapped up in bijao leaves) and rocoto relleno (red peppers filled with meat). Altitude sickness: When you prepare your trip to Peru, be aware that you might suffer altitude sickness. Avoid flying directly to Cusco (one of the highest cities in the country); instead fly to Lima first and gradually adapt yourself to the heights. If you succumb to altitude sickness, consider seeing a doctor and drink tea made of coca leaves, the traditional remedy used by the locals. Tap water: Drinking tap water is not safe everywhere in the country, especially if you find yourself in some remote location. Avoid drinking it and ask for bottled water instead. Also, remember that ice cubes are made with tap water as well. Malaria: Malaria can be present in the jungle. To avoid mosquito bites, cover your body and use insect repellent containing DEET. Also, before leaving, take an appointment with your doctor to get all the information you need about possible diseases linked to your trip (yellow fever, etc. ), and make sure all your vaccinations are up to date. Do not wander in the city alone at night: If you have to go to some place at night, take a taxi, it will be safer. Pay attention to your valuables: Never let your personal belongings out of your sight. If you have a backpack, make sure to stick one of your legs through the straps while you are sitting. Also, keep your belongings hidden and do not walk around with your camera hanging from your neck. Tourists are always a good target for thieves. Do not trust everyone: Scams are common in Peru. Do not trust everybody, especially overly friendly people. Do not accept drinks from strangers: While in a bar, buy your own drinks and do not accept beverages that come from strangers. People may drug you and then rob you. Do not buy drugs: As South America is famous for its drug trafficking, some travelers may be tempted to buy drugs while in Peru. Restrain yourself from doing it. Avoid bad neighborhoods: Avoid bad areas of the city you find yourself in. Ask some trusted locals to find out which areas are safe and which are not. You will save yourself a lot of troubles. You are now officially set for your trip to Peru. 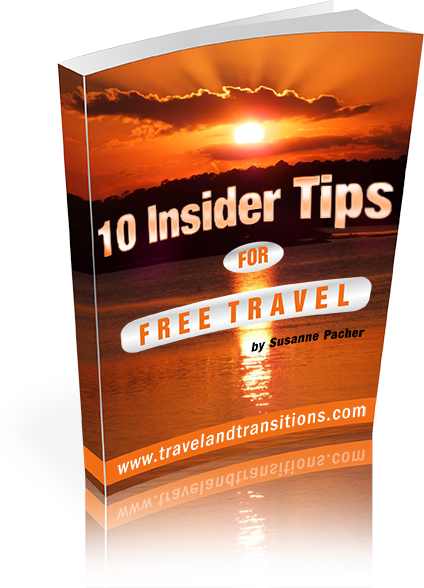 If you keep these tips in mind while traveling, you should have one of the most amazing travel experiences of your life. Enjoy your trip!